Don’t go postal over your pre-event promotions! 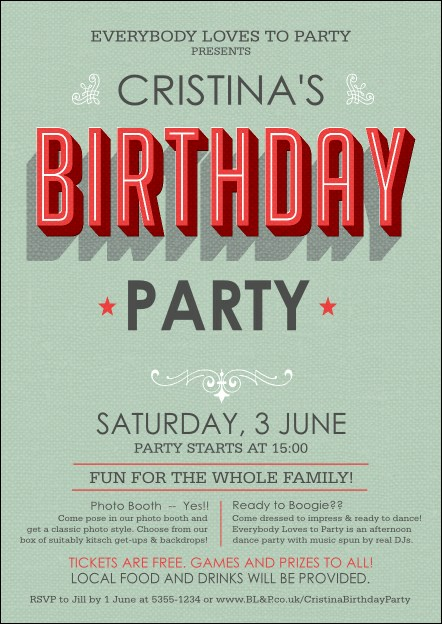 Print Birthday Party Green Postcards and send them out to your guest list in advance for awesome guest attendance at your party. Each Postcard features a classic layout with a pale green, textured background, and eighteen lines of coral-colored text. UK Ticket Printing helps your party grow!